An anti-aging tonic for profound and intense hydration of dehydrated, mature, dry, or very dry skins. It is a rich cocktail of selected phyto extracts, amino acids, and natural moisturizing factors that improve the strength and resistance of the skin, giving it a smooth and vibrant appearance. BIOREGENE Fluid optimizes the pH level of the skin and accelerates the regeneration of new support tissues for a stronger, more resilient, younger-looking skin. BIOREGENE Fluid is used after BIOREGENE Lait. The combination of these two products provides an ideal cleansing and toning program for fragile skins. It gives excellent results in diminishing congestion of redness associated with couperose, and it improves the skin’s strength and natural defenses. 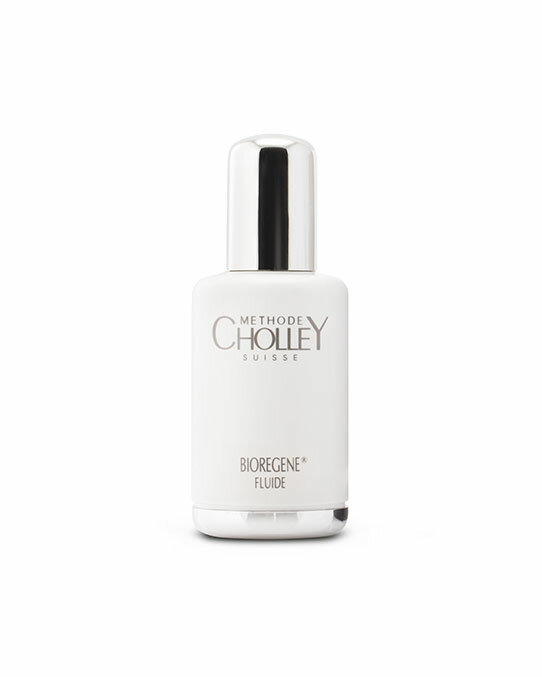 BIOREGENE Fluid is best suited for dehydrated, mature, dry and very dry skins with or without couperose. For dehydrated, mature, dry, and very dry skins.